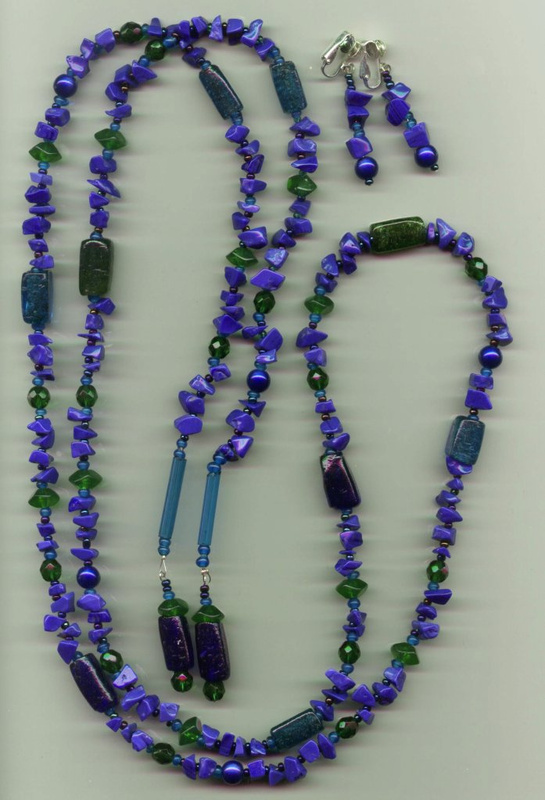 Blue-green necklace with matching earrings. One could argue whether this is a necklace or not; I wanted to do one of these since I saw one in a shop window -- this is a long strand of beads which one can wrap around one's neck, tie in a loose knot, or just drape over one's shoulders. I also had fun making the design semi-random, with different large beads at different intervals, but trying to make it balanced even so.